No matter how hard we try to pretend that we are doing things our own way, the fact of the matter is that there is very little we do which is original. Almost all the photographs we take will be informed or influenced by others we have seen in the past. Often that influence is gentle, almost hidden, but occasionally it is quite blatant. Consider, for instance, this image which I took at a wedding shortly before Christmas. 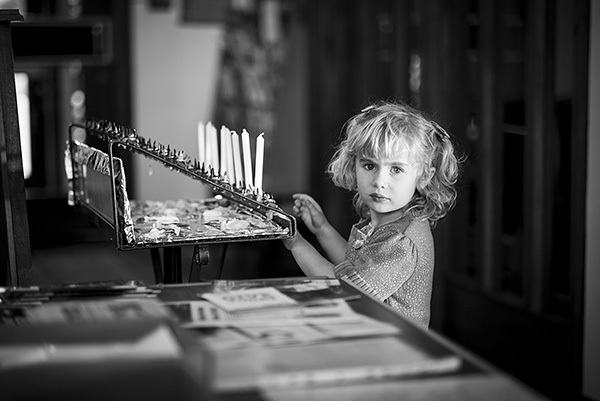 It was long service and I was exploring the rear of the church with a newly acquired (and utterly sublime) 56mm f1.2 on a Fuji X-Pro 1, when I saw a young girl playing with the votive candles, as I pulled the viewfinder to my eye I already new it was an image I had seen before. Clearly they are very different subjects, with one traumatised by war and concentration camps and the other presumably having had no experiences other than a safe a secure upbringing, and I am not trying to draw specific parallels between the two. 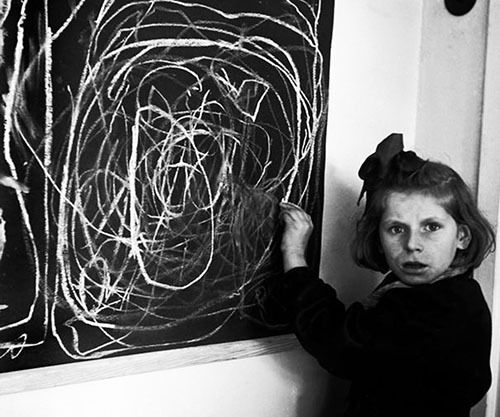 But equally it is clear that the compositional elements of the older photograph by David Seymour of Magnum were informing the decisions I made as I moved to take that photograph in December. Next Post It’s tough to be Independent.